A teacher is a person who has the ability to activate curiosity, knowledge, and wisdom in others, and you have decided to become one. The following are the steps to help you become a teacher in Minnesota. You should first think about what type of students you want to teach. Younger ones in elementary school? Teenagers in high school? Are you interested in working with children with special needs? What subject(s) do you prefer? These are important questions to ask yourself before beginning your journey. The Minnesota Department of Education has information on teachers, students, and schools in the state, which could help you make your decision. To be licensed as an educator in Minnesota, prospective teachers must hold a minimum of a Bachelor's Degree. In addition, licensed teachers should complete and be recommended by a teacher preparation program. Generally, teachers education programs consist of two main elements: curricula and field work. Curricula refers to the college courses you will take. The courses usually focus on subject-based teaching methods, differentiated instructional strategies, assessment tools and measures, along with an emphasis on technology integration. The fieldwork aspect usually includes field observations, internships, student teaching, or a combination of all three options depending on your institution. Students who successfully complete student teaching will have collaborated with a master teacher to create and implement lesson plans based on the diverse needs of the students in the class. Note that once teachers become licensed, they may also need to continue their education either formally or through professional development opportunities offered by their state or district in order to maintain or upgrade their current teaching license. There are many joint programs which allow individuals to complete the requirements for a Bachelor's Degree alongside those of a teacher preparation program. This type of program is designed for students who know from the beginning that they want to become a teacher. 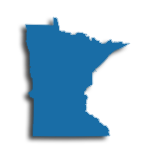 If you have completed an alternative program outside of the state, you are already eligible to be reviewed and considered for Minnesota licensure. The Minnesota Department of Education will review your program and decide if you should be given a temporary license or full license. The result will be based on the department of education's decision on your programs equivalency. Note, not all will qualify. If you have been certified to teach in another state through an alternative program, you can apply for a Minnesota license through the online application process. As of November 2014, there were not yet any other alternative programs that have been approved by the Board of Teaching. For the most recent information regarding this, contact the Minnesota Department of Education. Candidates seeking Minnesota teaching certification must go through the appropriate basic skills and subject area testing through the Minnesota Teacher Licensure Examinations (MTLE). All Minnesota teacher candidates who seek initial certification must pass the Basic Skills and Pedagogy test. These tests assess an individual's knowledge of fundamentals in reading, writing, math, and principles of teaching and learning. In addition, candidates for certification must take a Content Area test which is determined by the subject area and grade level the candidate wishes to teach and become licensed in. Once your application is processed, you will be able to begin your rewarding career as licensed educator in Minnesota! You will be prepared to activate curiosity and knowledge in your students on a daily basis. Teachers seeking jobs in Minnesota are encouraged to use the links on the Minnesota Department of Education site in order to access job listings for teaching, administrative, and support roles. These sites also help teaching candidates manage and track their applications. Listed through the Department of Education site are EdPost, K12 JobSpot, and the Minnesota Association of School Administrators (MASA) Jobsite. Current need within the state focuses on teachers who have qualifications to teach special education, languages, math, and science at both the elementary and secondary levels. Once hired in the public system, teachers are recruited by Education Minnesota union which represents over 70,000 teachers throughout the state. Teachers may also join the state affiliate chapter of the National Education Association (NEA - Minnesota). These networks provide professional support and development to the teachers in the state, as well as allowing teacher opinions to be heard on a national level when concerning political matters of education. Teachers who wish to pursue teaching outside the public system are encouraged to apply to some of Minnesota's 651 private schools. These school service almost 100,000 students. Almost three-quarters of these institutions are religiously affiliated. Although private schools are not required by law to hire licensed teachers, many school boards and principals still wish to do so. Upon retiring from the public school system, teachers are eligible for a pension drawn from the Teachers Retirement Association of Minnesota. The table below lists the number of public school teachers in Minnesota by grade level during the 2012-2013 school year. There are more than 470 private schools with an estimated 5,900 private school teachers in Minnesota. The table below details the number of teachers by grade level during the 2011-2012 school year. Data-driven research has found that the more highly skilled teachers become, the more positive their impact on student achievement will be. For this reason, North America has some of the most rigorous standards regarding ongoing professional development in the world. Ensuring that teachers, administrators, and paraprofessionals engage in relevant professional development is one of the best investments that a school district can make. Besides boosting student achievement, teachers who participate in professional development show stronger gains toward their salary and career advancement goals. The state of Minnesota's most recent initiative, Job Embedded Professional Development (JEPD), articulates that all teachers need to be invested in improving the learning climate for all students. JEPD enables Minnesota schools to stay focused on quality instruction, and occurs during the workday and in the workplace. This method enables students to connect the actual work of teachers with their current students as examples. This method is also centered on the needs of the school and the educator team present at the school. Teachers with additional questions should direct their inquiries toward their administrative team. While a master's degree is not necessary to teach in Minnesota, it is something many Minnesota licensed educators find very valuable. Choose to complete a master's degree and you'll be able to advance your foundation of knowledge in a specific subject or in general education, broaden your professional opportunities, earn a larger paycheck, and bring new insight to your classroom. As of July 1, 2018, Minnesota replaced its out-of-date licensure system with a more straightforward, four-tiered licensing system. Now, you'll begin at Tier 3 if you've completed a Minnesota teacher preparation program. This license is valid for a period of three years and can be renewed indefinitely upon completion of at last 75 approved clock hours of continuing education. Once you have three years of teaching experience in Minnesota, you'll be eligible to move to Tier 4, a five-year license that can be renewed indefinitely upon completion of at least 125 approved clock hours of continuing education. One semester credit in a master's program = 24 of these approved clock hours. This means that of you're earning your master's degree you'll be able to meet the continuing education requirements of one licensure cycle by completing just two courses (for a Tier 3 license) or three courses (for a Tier 4 license). Many master's-prepared educators in Minnesota are rewarded with a higher salary than their bachelor's-prepared peers. For example, educators in the Stillwater Independent School District 834 earn a minimum salary of $43,728; however, those with a master's degree earn a minimum salary of $50,361, an increase of more than $6,600. Similarly, teachers in the Duluth Independent School District 709 earned a minimum salary of $37,678 in 2017-2018; however, those with a master's degree earned a minimum salary of $43,157 - nearly $6,000 more.